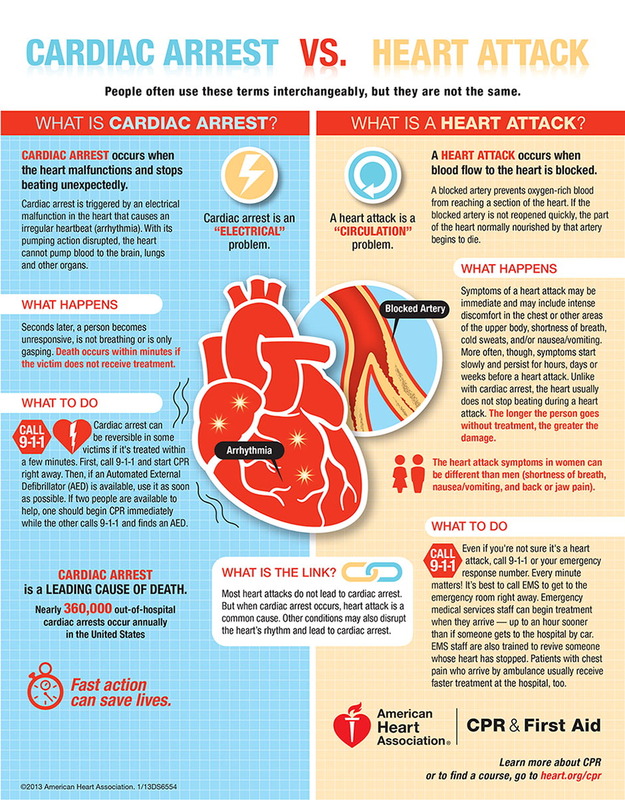 Cardiac Arrest vs. Heart Attack. Infographic from the American Heart Association. Read more: “Heart Attack or Sudden Cardiac Arrest … What’s the Difference?” by Andrea M. Russo, MD.